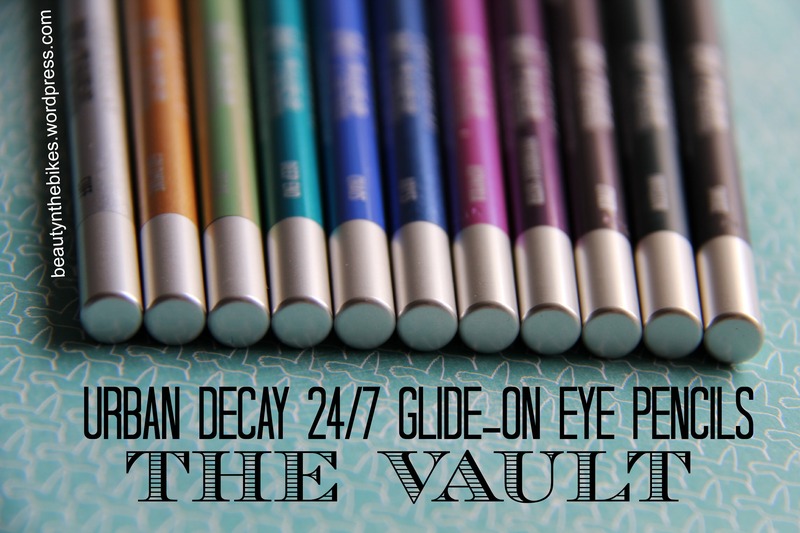 Urban Decay 24/7 Glide-on Pencil Vault: Swatches & Review | beauty. bikes. Urban Decay is known for churning out innovative products and daring shade names (Remember the NAKED palettes?). 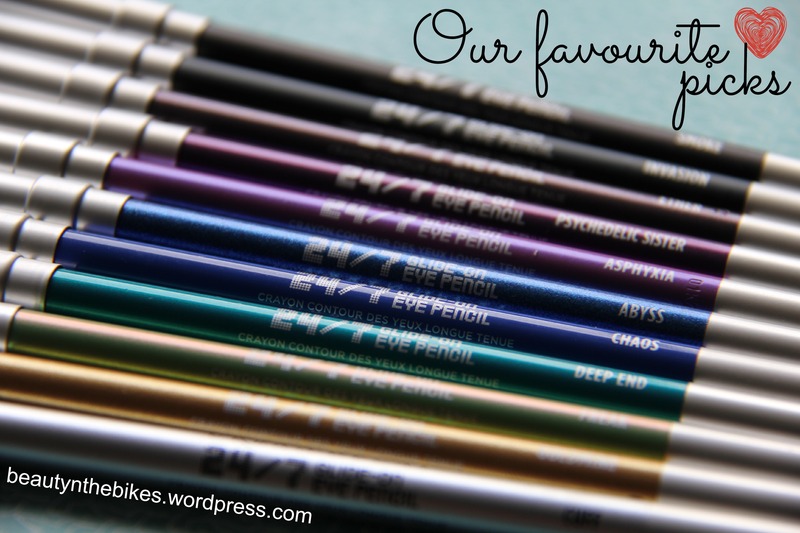 This time, they are relaunching their award-winning 24/7 Glide-on Eye Pencils in 40 different shades, making it one of the widest assortment of eye pencils ever! 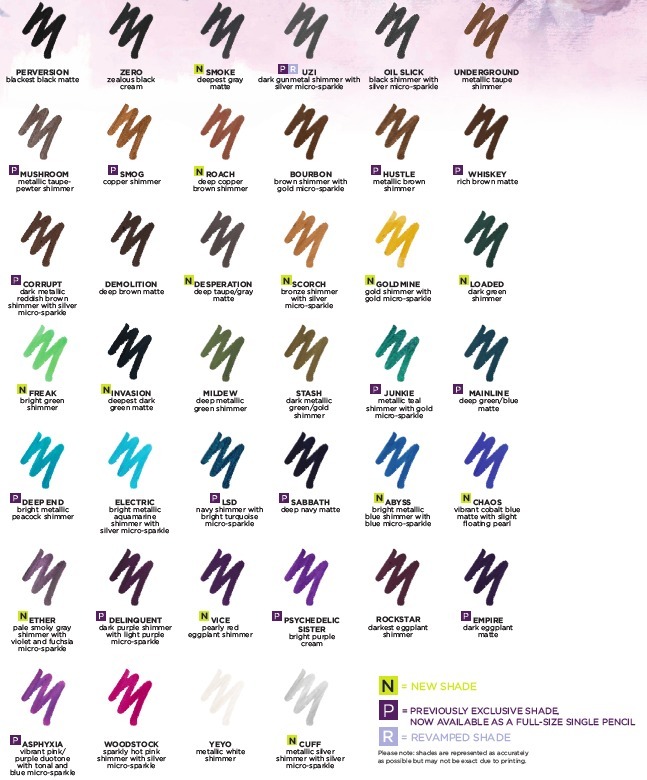 Adding 13 brand new shades and 14 previously exclusive shades, the selection includes crazy-vivid brights, shimmering metallics, wear-anywhere neutrals and dark, smoky hues in various textures from micro-shimmer to matte. Made with jojoba oil, vitamin E and cottonseed oil, this highly saturated formula glides on and then stays creamy for blending until it dries down to a waterproof finish that will not budge! So if you’re looking to waterproof your makeup for a day out at the beach or pool, these pencils can also double up as waterproof eyeshadows as long as you blend them out quickly before they dry and set. So many colours and don’t know where to start? We’ve got you covered! 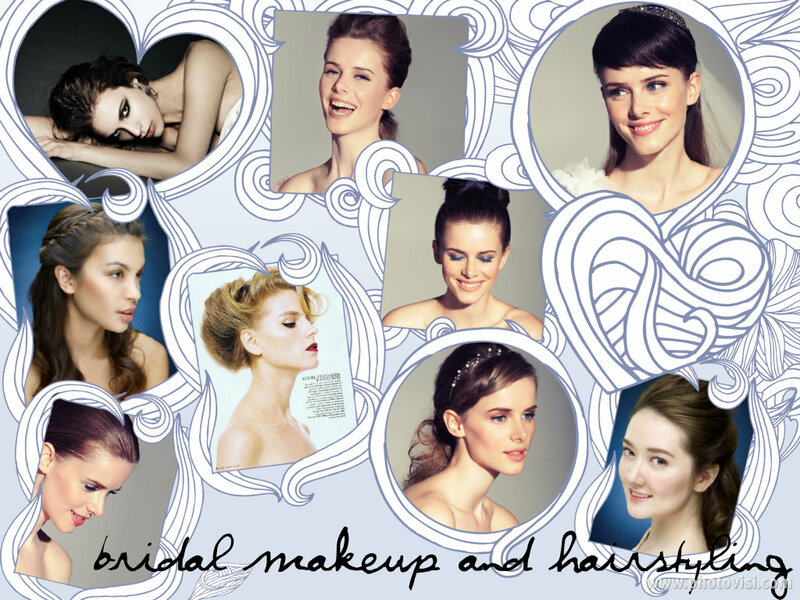 Here are some of our favourites from the selection and tips on how to rock them! Everyday but better: These two shades may seem ordinary at first sight, but they aren’t your average joes! Switch up your usual black eyeliner for one of these shades for a unique twist on your everyday makeup. 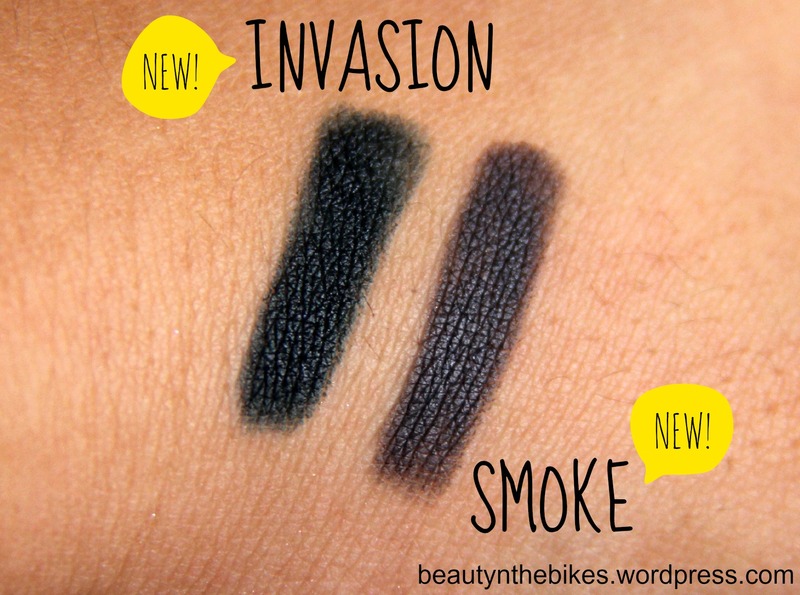 Invasion (New) is a deep dark green with a matte finish. Smoke (New) is a deepest grey with a matte finish. Providing a “softer” finish than harsh black, try out these shade is you’re looking for more subtle definition on your eyes. Brown-eyed girls: Accentuates your brown eyes with some purple liner, which best complements brown tones. Asphyxia (Previously exclusive) is a vibrant pink/purple duotone with tonal and blue micro-sparkle. Duochromes are one of my favourite finishes because you get more bang for your buck. Can’t decide whether you’d like to have pink or purple today? This shade lets you have your cake and eat it too. 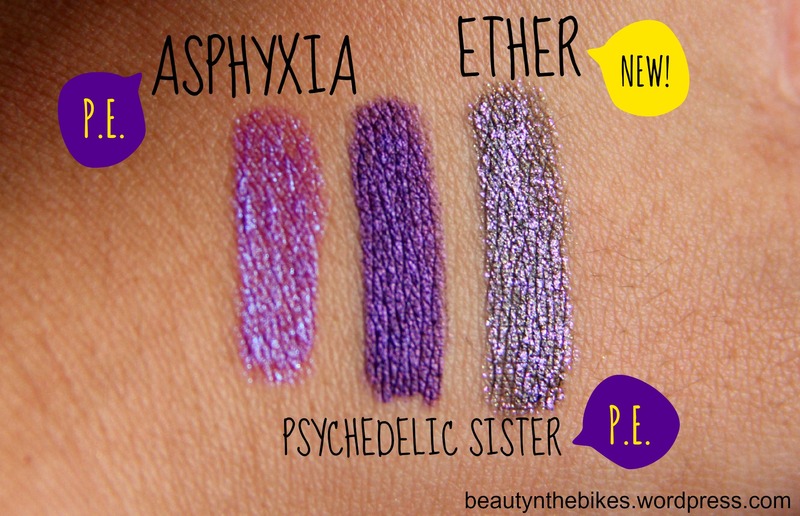 Psychedelic sister (Previously exclusive) is a bright purple with a cream finish that is probably the tamest of out this bunch. That said, this shade is a true purple that’s fit for royalty. Ether (New) is a pale smoky gray shimmer with violet and fuchsia micro-sparkle. Another one of those out-of-this-world colours, pair this with a smokey eye to take it to the next level. All that glitters: While diamonds are a girl’s best friend, these precious metals are also sure to get your heart racing! 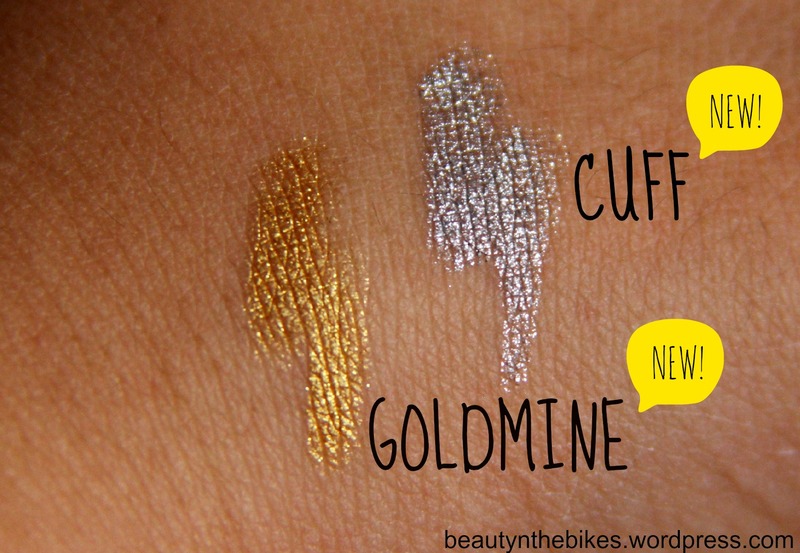 Goldmine (New) is a gold shimmer with gold micro-sparkle. This is perfect for darker-skinned ladies for a sun-kissed glow on their lids and also great as an inner corner highlight. Cuff (New) is a metallic silver shimmer with silver micro-sparkle. One of the tricks K-Pop girl groups have is to line their bottom waterline with silver liner which really helps to open up the eyes and make them look bigger. Summer-lovin’: Crazy fun colours in shades of green and blue add a fun pop of colour to your look! Freak (New) is a bright green shimmer that reminded me of everybody’s favourite ogre, Shrek. I like to pair it with Deep End to create an ombre liner effect to make my eyeliner look extra special. Deep End (Previously exclusive) is a bright metallic peacock shimmer. For some reason, this is the type of colour that I automatically gravitate towards and for good reason too! This shocking teal colour applies like a dream and stays vibrant all day with no reapplication needed. Chaos (New) is a vibrant cobalt blue matte with slight floating pearl finish. While the colour looks incredible on the pencil, sadly enough it doesn’t translate as nicely onto the eyes and application can get a little patchy/uneven. You have to be a little more patient in applying this in layers to get a more saturated colour. Abyss (New) is a bright metallic blue shimmer with blue micro-sparkle. Another one of those colours I orbit around, Abyss is one of those shades that works well alone and with a team (of eyeshadows and liners of course!) 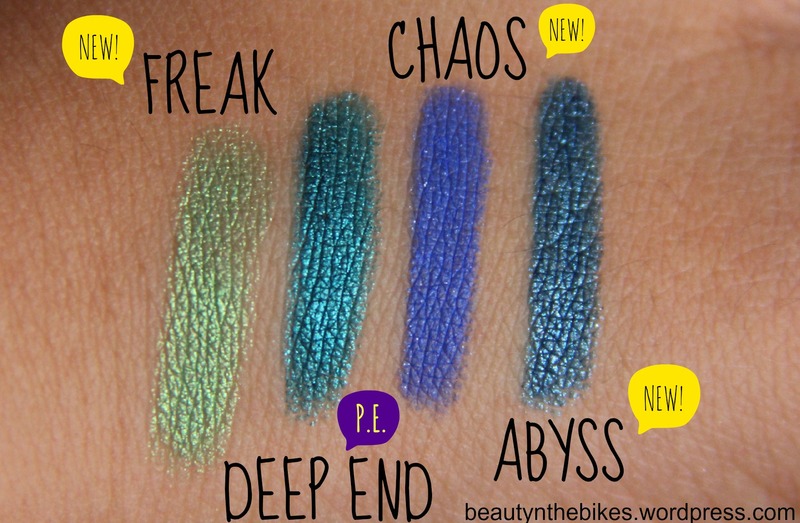 Add this to the ombre liner line-up of Freak and Deep End to make it look multi-dimensional. Phew, so many pencils and yet that isn’t even half of the collection! That said, I hope it gave you some inspiration as to which shades you want to try out next, whether it is a safe neutral or out-of-this-world disco glitter. With Urban Decay, you can be sure to go bold or go home! 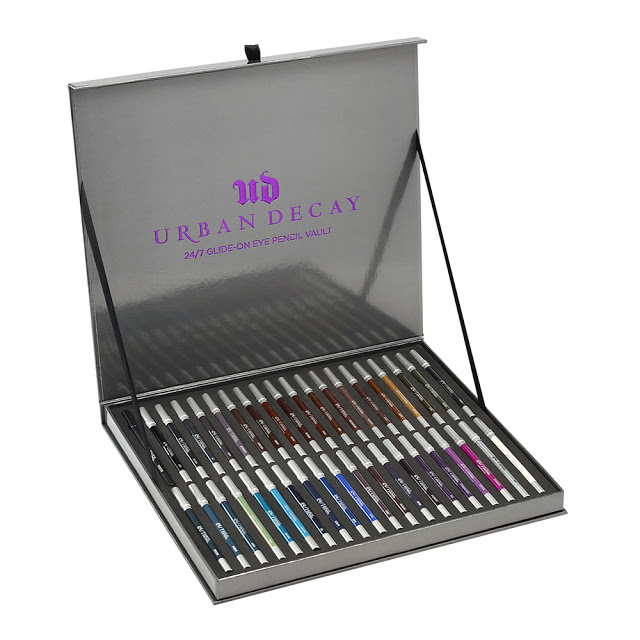 Since its release in a sleek metal case a couple of months ago, The Vault is unfortunately sold out in the U.S. but you can still get the Urban Decay 24/7 Glide-on Eye Pencils individually and they retail at SGD$30 each, available at Sephora Singapore. Tags: eyeliner, makeup, urban decay. Bookmark the permalink.